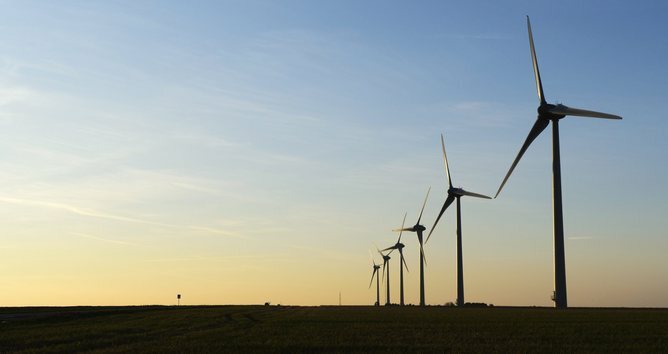 Three wind farm’s will supply the ACT with 200 megawatts of renewable energy generation capacity, with a reduction of 580,000 tonnes of emissions each year. This is a serious emissions reduction effort from the ACT Government with broader economic benefits. This was originally a media release from The ACT Government. It can be found here. The ACT’s first wind energy reverse auction has resulted in a $50million direct investment into the local economy and broader economic benefits in excess of $240 million, Minister for the Environment, Simon Corbell, announced today. “The auction has also delivered low renewable energy prices and enough renewable energy to provide for approximately 33% of Canberra’s electricity needs,” Mr Corbell said. “The three successful wind farm projects, including one to be developed by a local Canberra company, are expected to be operational by 2017. “Combined they will deliver almost 200 megawatts of renewable energy generation capacity for the territory, enough to power 107,000 Canberra homes, and will result in a 580,000 tonne reduction in the ACT’s carbon emissions each year, the equivalent of taking 157,000 cars off the road. “Today’s announcement delivers the single largest step-change in emissions reductions of any jurisdiction in Australia. The pass through cost to consumers for the 200 megawatts is expected to peak at just $1.79 per household per week in 2020 before declining after. This is part of total cost of reaching 90% renewable energy use which is estimated to peak at $4.67 per household per week in 2020 before declining after. The Hornsdale Wind Farm, a 100 megawatt wind farm developed by Neoen south-east of Port Augusta in South Australia at a feed-in tariff price of $92.00 per megawatt hour. “The three successful projects will deliver a range of benefits for the ACT through a $50million economic stimulus package, including new jobs, a new national trades training centre, an innovation fund for small Canberra renewables businesses and a $7 million investment in new courses at the Canberra Institute of Technology and the ANU,” Mr Corbell said. “This is not just about sourcing renewable energy; this project will secure Canberra as the renewable energy capital, providing jobs and economic benefits for all Canberrans. “Our location, our policies and the expertise of local small businesses and premier research institutions, make the ACT the leading jurisdiction in the nation for renewable investment. “For example, as Windlab continues to grow in Australia and internationally, so too will Windlab’s Canberra headquarters. Windlab estimates its salaries and on-costs for ACT based staff over the next 20 years will exceed $240 million. This is from a company that was founded in Canberra only 12 years ago. 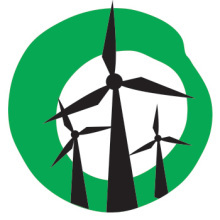 The auction outcome has also set a new benchmark for wind farm community engagement practices in Australia and should provide a strong incentive for new projects to engage with local communities in a more meaningful and co-operative manner, for the benefit of proponents and communities alike. The 200 megawatt wind auction will deliver approximately 33% of Canberra’s electricity supply from renewable sources by 2017. Together with the 40 megawatts of large-scale solar the territory is investing in, and the existing 44 megawatts of household solar installations, renewables will be powering 80% of all Canberra’s household electricity needs. The French Ambassador to Australia said he was very pleased to see French company Neoen was successful in the auction. “The involvement of a French company in this major initiative of the ACT Government, underscores the close relationship between France and Australia in the field of renewable energy and the fight against climate change,” Ambassador Cristophe Lecourtier said. In November 2014 the ACT Government’s Solar Reverse Auction won the most prestigious environmental award in Australia, the Banksia Award, for its innovative practice in securing large scale renewable energy at the lowest possible price.